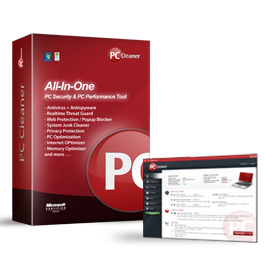 The ultimate all-in-one PC performance software: removes spyware, viruses, protects your privacy, fix registry errors, optimizes your PC for maximum speed and performance, and blast away unwanted system clutter! PC Spyware Remover Pro will scan your complete system for malicious threats including: spyware,. rogue programs, trojans, adware, rootkit, dialers, worms, parasites and other potentially harmful programs that may be installed on your computer. PC Spyware Remover Pro will safely scan your system Windows registry and finds incorrect or obsolete information in the registry. By fixing these obsolete information in Windows registry, your system will run faster and error free. PC Spyware Remover Pro will tweak your complete system to boost your PC speed by up 200% or more. You will have faster downloads, uploads, web surfing and more. PC Spyware Remover Pro All-In-One Utlimate PC care includes over 20 high quality tools: - Spyware - Registry Cleaner - System Optimizer - Internet Optimizer - Memory Optimizer - PC Speed Booster - Privacy Protection - Complete PC Maintenance and Tune Up - System Cleaner - Duplicate File Remover - Daily Updates And much more! MailScan 6.8a for 1st UpMailServer is the worlds first Real-Time e-mail scanner for the 1st UpMailServer. This server is published by Upland UK. Finally an intelligent spam blocker that learns from you. Simply and easy to setup and use. in 10 minutes time you can be stopping spam dead in it&apos;s tracks. Similar to products such as Cloudmark and Spam Bully, but compltetely free! NetQin Mobile Manager helps to block unwanted calls, backup your contacts so that they never get lost, completely conceal your communication privacy with private contacts and safeguard your driving. SUPERAntiSpyware is the most thorough scanner on the market. Our Multi-Dimensional Scanning and Process Interrogation Technology will detect spyware other products miss! Easily remove over 1,000,000 threats! AntiSpam is a light, powerful and fast pop3 email spam filter and monitor. It needs almost no processor resources while it filters your pop3 accounts and inform you about incoming mails. AntiSpam is made using Assembly Language. MailScan is installed on Windows machine to act as a Security Gateway between your Mail Server and the Internet. MailScan 6.8a for Lotus Notes, acts like a Content Security Solution and Anti-Virus Software between your Corporate Lotus Notes Mail Server and the Internet. MailScan for MailServer is the world's advanced antivirus and email scanner for Mail Servers with NILP (Non Intrusive Learning Patterns) technology to block SPAM. MailScan for MS Exchange Server is the advanced Real Time Anti Virus and Anti Spam solution for MS Exchange Server. MailScan for Mailtraq is the advanced Real-time Anti-Virus, Anti-Spam and Content Security solution. This server is published by Fastraq Limited. This site does not contain serial number, crack, keygen PC Spyware Remover Pro serial number : serial number is the simplest type of crack. A serial number(cdkey,product key,etc) is register the program as you may already know. a crack or keygen may contain harmful software. If you cannot find the exact version you want, just give it a try. for more information read .nfo/.txt/.diz file include in zipped file.